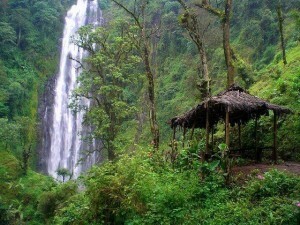 Transportation will be provided by bus or car from Arusha to the Marangu waterfalls and the foothills of Mt. Kilimanjaro. These waterfalls are close to Moshi and to the foot of Mt. Kilimanjaro. 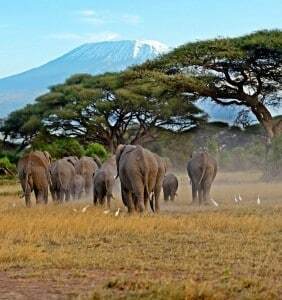 The source of the water comes directly from the glacier on top of Kilimanjaro. Splendid, green areas where also grow the most fantastic trees and exotic plants. This is beautiful, and a relatively simple walk through the tropical rain forest that grows on the foot of Mt. Kilimanjaro. You can see different types of monkeys (black and white colobus monkeys), tropical birds and other animals. The duration of the trip is approximately six – seven hours. Transportation will be provided by bus or car from Arusha to the foothills of Mt. 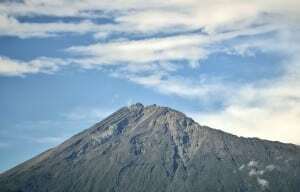 Kilimanjaro, here is the possibility to walk to the first hut. This is beautiful, and a relatively simple walk through the tropical rain forest that grows on the foot of Mt. 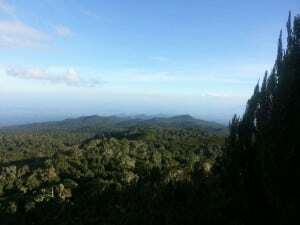 Kilimanjaro.You can see different types of monkeys (black and white colobus monkeys), tropical birds and other animals. Also you can visit a small waterfall. The duration of the walk is approximately five hours. A car or bus will bring you to the entrance of the Arusha NP, here there is the possibility to walk through the Arusha National Park, and walk on mount Meru, the view is breathtaking, there are great views over the steppes of the Arusha NP, where you see the buffalos, zebras and giraffe grazing. You will also visit a 45 meter high waterfall. On a clear day Mt. 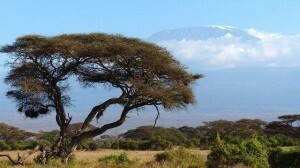 Kilimanjaro can be seen in the distance. The hot springs of Kikuletwa, also known as Chemka Hot Springs, are close to the village of Rundugai and are one of the most beautiful places in Tanzania to relax. The small pond is surrounded by palm and fig trees with winding roots. In the morning, Blue Monkeys can often be observed in the trees, whilst the crystal clear, turquoise water invites you to a refreshing bath. Although they are called hot springs, the water in Kikuletwa is not truly ‘hot’ but refreshing, as the water source is fed by Kilimanjaro itself. 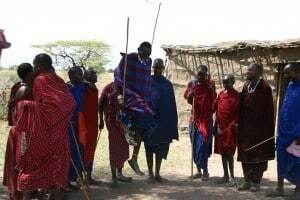 There is the possibility to visit an original Maasai camp. Here you see how the Maasai live, you can examine their huts and they will tell you about their lives and their traditions. 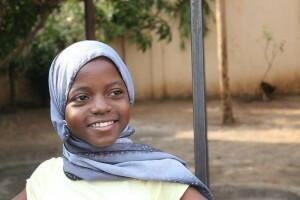 You can visit an orphanage center where you see how the orphan children live, and what is done to improve or change their lives. 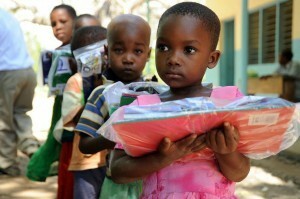 You can visit a Tanzanian school, where you can see how the Tanzanian children go to school. This is minimum a two-day trip, you drive to the Kolo cave drawings, some of these drawings are more than three thousand years old. Kolo lies 275 km from Arusha. 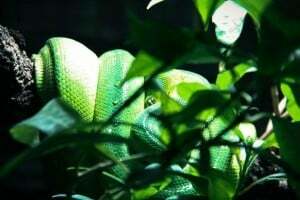 Here you not only see snakes but also different types of lizards, crocodiles and other type of reptiles. Furthermore there is also the possibility of visiting a Maasai museum, and you can ride on a camels back. The park is located near Arusha therefore you can also combine it with your safari trip. 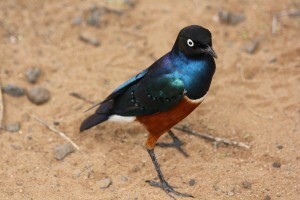 A complete day of walking and bird watching at the tropical forest close to Arusha (Ngurdoto). You will find here an enormous mixture of tropical birds and monkeys. Pay a visit to the Momela Lakes. There are seven lakes in the Arusha NP where you can examine a mixture of birds, among other things there are large flocks of flamingos. Drive all day on a back of a camel, through a varied landscape, and enjoy a visit to a Maasai village. The first excursion is a combination of walking and a canoe excursion. 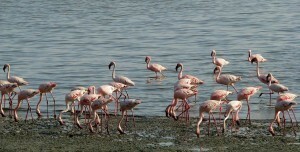 At this excursion you walk through the Arusha National park, and you walk to one of the lakes in the park. Here you will make a canoe excursion with a maximum of three other persons and you will see dozens of types of water birds, hippopotamus, and other animals which drink water on the banks of the lake. At the second excursion you pay a visit to Lake Duluti. First you walk to the lake as you pass some very beautiful surroundings, and you will see some really rare plants and flowers. Then you and your guide will make a canoe tour on the Lake. He will tell you everything about the plants, flowers and exotic birds of this area. 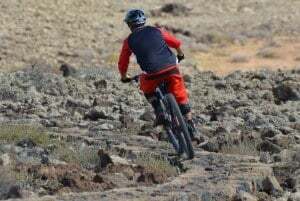 There are several mountain bike routes around Arusha varying in length and level of difficulty.